June is unofficially recognized this year as LGBTQ Pride Month, because of a demonstration that took place in 1969. The morning of June 28, 1969, New York City police raided the Stonewall Inn, a popular gay bar in Greenwich Village. Law enforcement could legally justify the raid because Stonewall was serving liquor without a license, but at that time, it wasn’t unusual for police to target gay clubs. What was uncommon is for crowds to fight back. 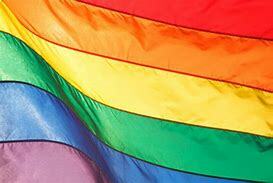 LGBT Pride Month events draw millions of participants from around the world each year. Today, the month-long celebrations include pride parades, marches, parties, concerts, workshops and symposiums across the nation. Memorials are also often held for members of the LGBT community who have lost their lives to hate crimes or HIV/AIDS. The rainbow LGBT flag is prominently displayed throughout the month. Gilbert Baker, an American artist, gay rights activist and U.S. Army veteran, created the flag in 1978 as a new symbol for the gay and lesbian political movement, at the suggestion of his friends and colleagues, including Harvey Milk, a San Francisco city supervisor and the first openly gay elected official in California. Milk was assassinated later that year. According to Baker’s website, the colors of the LGBT flag each have a meaning: red for life, orange for healing, yellow for sunlight, green for nature, blue for harmony and violet for spirit.